Located on levels 3 and 4 of CBD Premium Home on Đồng Văn Công Street, District 2, it has temperatures maintained at 15-16 degrees Celsius and artificial snow. There are many options for visitors like skiing, making snowmen and walking up a snow hill. 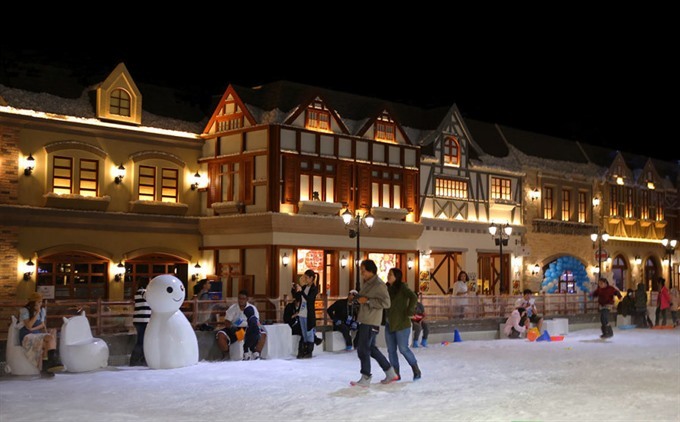 Snow Town is open all year round and admission fees are VNĐ130,000-200,000.